This book has a lot of good pictures. 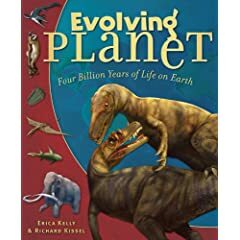 It talks about the 5 mass extinctions. There are many pictures of extinct animals. It thinks soon there will be 6 mass extinctions, and we might be it.